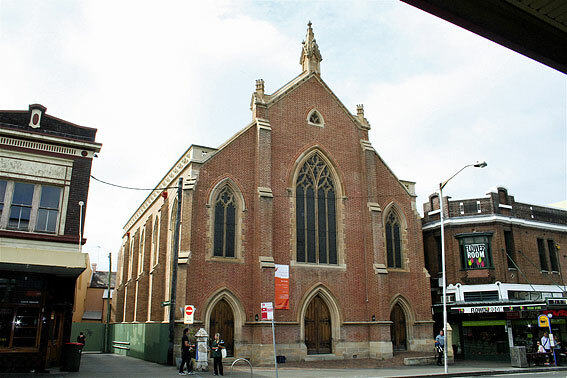 The Newtown Wesleyan Church was designed by the architects Hilly & Mansfield and opened in 1860 as the first church building in Australia designed on the "Methodist Model Plan". It is a plain box-like structure and late in the 19th century galleries were erected around all four sides. Further modifications of a minor nature have been made, notably in 1910 when the organ was rebuilt and enlarged and placed in a special apse. 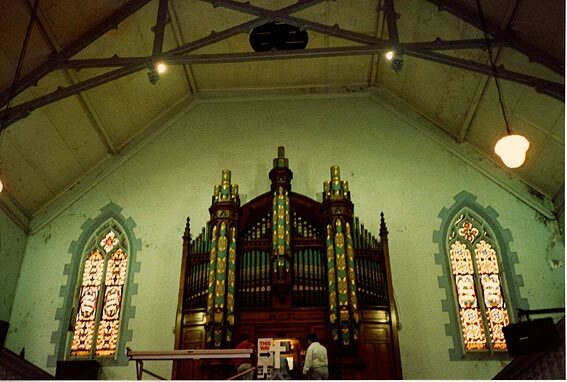 The building is well-known for its splendid acoustics which enhance considerably the grand sound of the organ. Such has been the destruction of buildings from the Methodist heritage in Sydney that this building is now only one of two galleried Wesleyan styled buildings remaining. In recent times the church has become a "Charismatic Renewal Centre" leading to the depletion of a former congregation and its replacement by another. In 1983, the Revd Don Drury made a decision to close the church for services and use the adjacent hall as an alternative centre for worship. The church building remains for use on special occasions and recently there have been some moves to carry out minor repair work on the building. The congregation hope to return to the church and plans have recently been announced that the building is to be renovated. This important building is in desperate need of a sympathetic restoration which would ideally include the splendid organ, which now regrettably is in poor condition and only a shadow of its former glory. 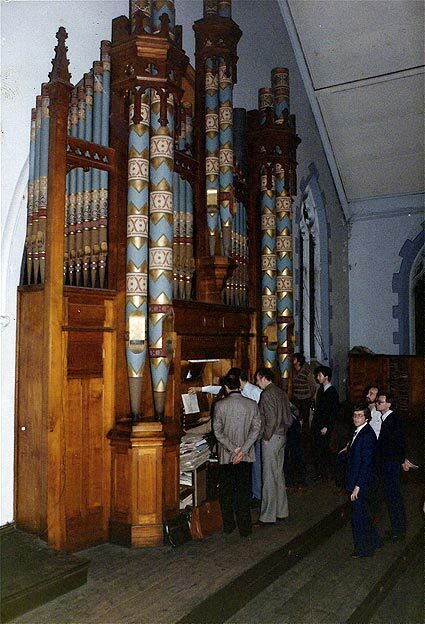 The organ was built in 1878 by Hill & Son of London as a 2-manual organ with 13 speaking stops and mechanical action throughout. Additional stops were supplied some years after this by Charles Richardson and in 1910 a major rebuild was undertaken by George Fincham & Son through their Sydney agent, C.W. Leggo. 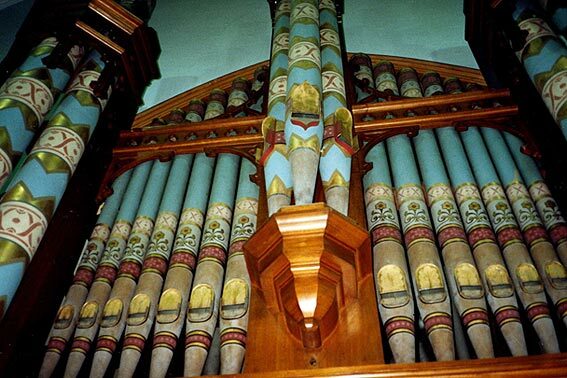 A new soundboard was made for the Swell, extensions were made to the Great soundboard and extra stops were also supplied to the Pedal on additional chests, Tubularpneumatic action was installed for all sections except the Great fluework, most stop actions and the intermanual couplers. Whilst this work was a major rebuild, the tone of the Hill pipework is still much in evidence and cone tuning is still retained. A new case was built in 1910, housing the large Open Diapason Metal 16 pipes which are heavily stencilled. 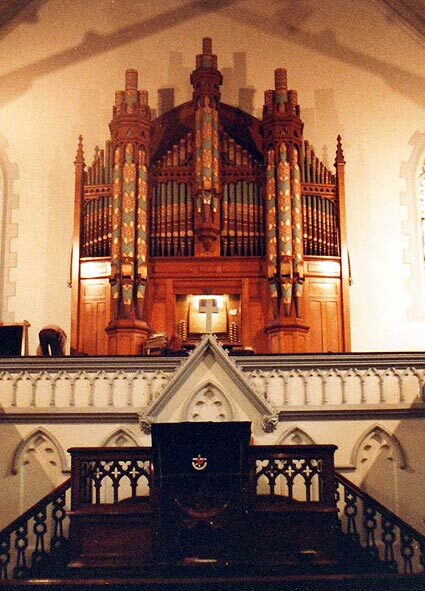 In 1985 the former Minister for Planning and Environment, The Hon.Terry Sheahan M.P., placed an interim conservation order on the church and organ.